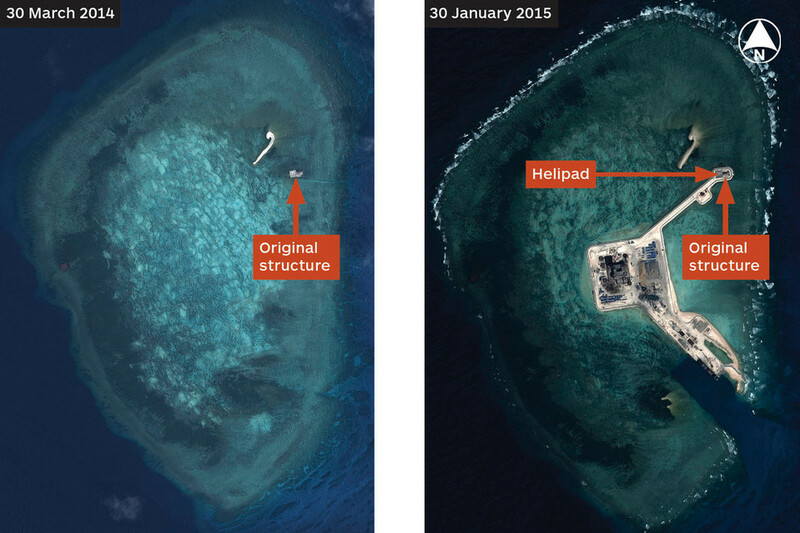 What’s not in the latest photos of China’s Spratly island construction? 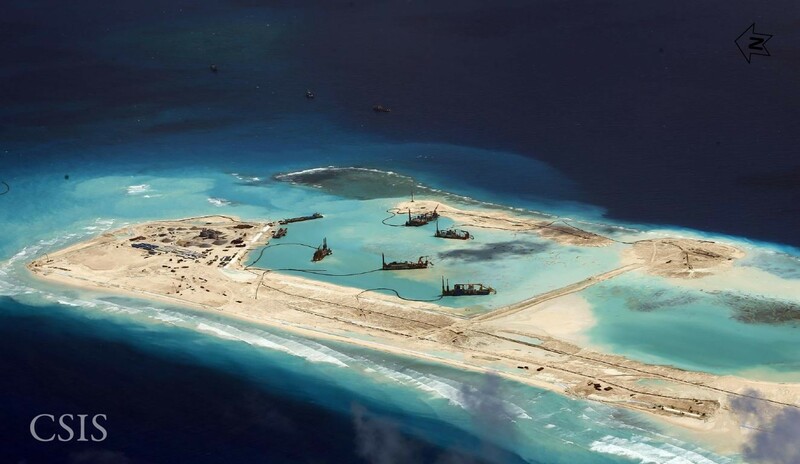 The spectacular photographs of China’s progress in creating artificial islands in the South China Sea have deservedly generated a flurry of attention in the media and punditry in the past week or so. The pictures show the amazing transformation, over the past year or so, of submerged atolls into sizeable islands with harbours, roads, container depots, workers’ dormitories and even cement plants. The reclamation activities have been documented periodically since early 2014 by Vietnamese bloggers, the Philippines foreign ministry, defense publisher IHS Janes, and, most recently, the Washington-based CSIS’s Asia Maritime Transparency Initiative. These images seem to have a special ability to catch people’s eyes and draw attention to the issue. On my own humble Twitter feed, where most posts are lucky to be noticed by anyone, when i’ve attached images of China’s artificial Spratlys, the stats suddenly light up with dozens of retweets, many from strangers. Additions, omissions and arguments most welcome!